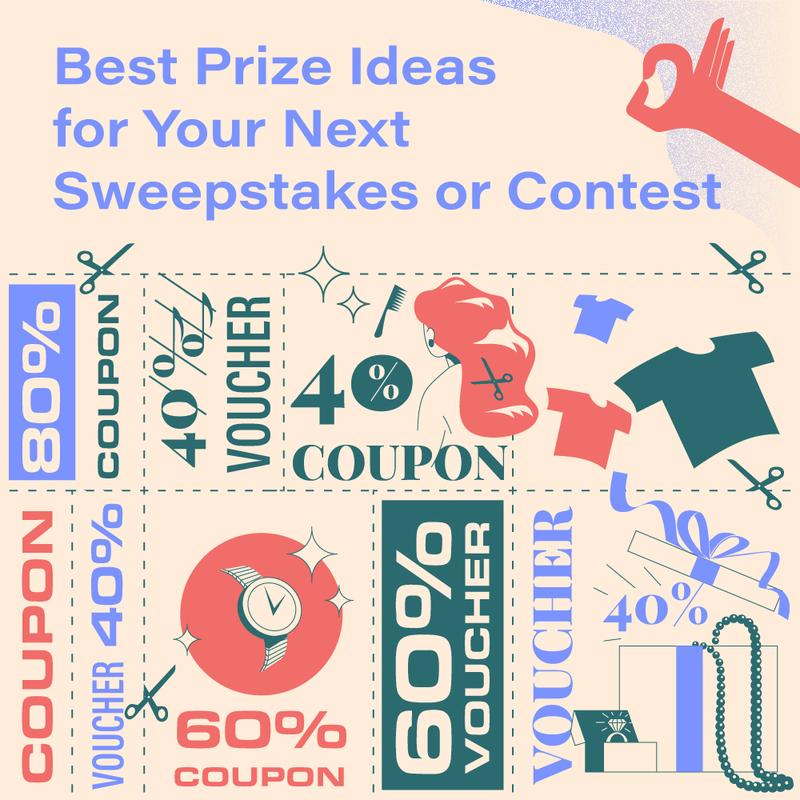 An excellent prize idea is crucial for the overall success of a sweepstakes campaign. If the incentive is unappealing to your consumers, not many will be motivated to enter in the first place. Unfortunately, there’s no cookie-cutter approach to this. Each individual customer is different and comes with a specific set of needs and wishes. The ideal prize idea will present itself only after you analyse the industry, consider the giveaway occasion, and define the target customer profile. After working in the industry for several years now, PromoSimple managed to familiarise with some of the most optimal prize ideas, which is why we decided to group them in accordance with the specifics of a giveaway you intend to plan. Special note: Whether a certain idea listed in the article below is appropriate for your business largely depends on your products and services offer. However, if you are unable to provide particular products, consider partnering with another brand to reach a greater audience and expand your current customer pool. The 14th of February can be proclaimed the first major annual holiday that brands can take advantage of to win over its customers’ hearts. It’s a day that celebrates a loving bond between two people, both who deserve a gift that will show just how much their partner appreciates them. As a brand, it’s your job to treat them with a prize that will only strengthen their relationship (and your relationship with them). Couple’s massage and similar treatments for two are quite popular with couples who spend all their days chained to office desks. An overnight stay in a hotel or resort where they can escape the city noise and enjoy peace and quiet together. Luxurious dining might be out of reach for younger couples so a coupon for a dinner accompanied by a delicious dessert and a bottle of an expensive wine might just be the perfect prize idea. His & her packages like bedding, plates, or glasses featuring clever Valentine’s day design might be something they will use not just on the 14th, but all year long! A gift basket which would contain a rich set of cosmetic products, makeup kit, or maybe spices, sweets (depending on your business and your product offer). A spa treatment, massage, or makeover is always a popular prize idea since you are bound to hear mothers say how they don’t remember the last time they had the day to themselves to do their hair, fix their nails, or just sit back and relax. Free dinner in a luxurious restaurant where they finally won’t be the ones doing the cooking but will be relaxing with a glass of champagne instead. A coupon for jewelry or clothes in your store or a brand you partner up with. How can a family treat a father and show just how much they value everything he does for them? While a brand has to take into consideration the fact that the giveaway prize is for a family man, it’s also a good idea to offer something they always wanted but will never get round to buying. A car maintenance coupon to get their car in top condition – something they are bound to appreciate due to generally high costs of such repairs. Sports event ticket to see their favorite team play. Grilling supplies that would enable them to prepare the best Sunday garden brunches for their entire family. A coupon for electronics so that they could finally get that big TV they’ve had their eyes on for some time now. Weddings can take quite a toll on a couple’s budget, so why not help them save a few pennies? A package of save-the-date cards or thank-you notes in your brand’s colours. A wedding planning book that features a design of their choice and includes a picture of the bride and groom-to-be, along with your logo and brand name discretely included on the back of the book. A coupon for jewelry or wedding attire so that both bride and groom could afford a more elegant and expensive wedding look. Free or discounted catering services slightly adjusted in accordance with their needs. Floral arrangements of their choice packed in branded pots so that you get the attention of their guests at the reception when they sit surrounded with breathtaking centrepieces. Organise sweepstakes and giveaways even when there’s not a particularly special occasion. That way you’ll stand out from the crowd and reach your customers when none of your competitors are active on social media. A day at the beach package that contains a beach towel, cosmetic products with SPF, a sun hat, and maybe even a bathing suit. Gardening kit to keep the backyard pruned and well-maintained. This raffle prize idea is bound to be appreciated by those who like to spend their early summer mornings sipping coffee surrounded by freshly trimmed shrubbery. Camping equipment for individuals and family men who would want to spend beautiful weather in nature. School supply packages which would contain everything a child might need, from notebooks, filled pencil cases, geometry equipment, to the new backpack and PE supplies. Shopping coupon in your store or the store you partnered with, where parents can dress their children for the upcoming cold weather. Sports activities discounts to promote health and fitness at an early age. For some parents, additional training sessions can be quite a burden on the budget but they’d still like to see their kids active and not just rooted to their chairs studying or playing computer games. Some of your loyal customers might be a little old to go trick or treating, which is why they are likely to enter a Halloween contest and win a prize that will put your business in focus or rather be Halloween-themed. Free limited edition product that’s Halloween-themed. Gift certificate for a costume shop so they could get ready for an upcoming party they were looking forward to all year. Most popular costume offered as a prize can be a real winner if you follow trends. For instance, a few years ago we knew all the girls were going to aim for the Harley Quinn look, thus be sure to listen to the public and find out what’s trendy this season. 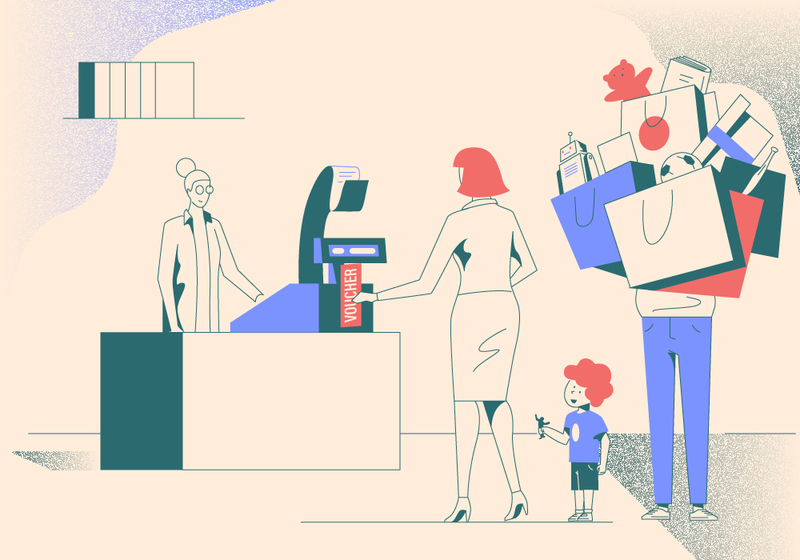 Winter holidays are a perfect time for brands to show their loyal customers just how much they appreciate the support they gave through the year. However, it can be quite tricky to stand out from the crowd of competitors who had just about the same idea as you. Original sweepstakes and raffle prize ideas might just be the Holy Grail you need to drive all entrants to your giveaway. Black Friday & Cyber Monday free products or significant discounts, and as the competition is greater than any other time of the year, be sure to feature the most popular products or the high-priced ones that are bound to grasp everyone’s attention. Store credit so that people can purchase presents for their entire family without having to break the bank. A groceries gift card, as although we love hosting family dinners and having everyone over for the holidays, not many have the funds to feed so many hungry mouths. Your customers are surely going to appreciate a voucher that will allow them to equip their home with food, drinks, and whatnot for the annual family dinner. Winter car or home equipment so that everyone’s ready for the heavy snowstorm. Fitness-related giveaway prize ideas are popular any time of the year, as you’ll hear many citing high gym prices as one of the main reasons why they had to cut exercising from their daily schedule. A 1, 3, 6-month discount or free gym membership can drive many avid fitness enthusiasts to your gym, even if there’s a competitor in their neighbourhood. Free personal training is also a popular raffle prize idea since not many can afford a dedicated expert. Free workout or healthy eating plan prescribed by an expert for a person’s specific needs. Free protein bar package, since everyone will appreciate healthy snacks that don’t come with tons of sugar and fat. Sports equipment coupon to help them improve their fitness routine. Is there a concert or an event of any kind in your area that’s likely to attract a greater audience? Then it’s an ideal opportunity for a small business to sponsor the event or partner up with the organizers in an effort to increase the number of customers and strengthen the bond with the existing ones. Tickets for an outdoor concert are surely going to attract a great number of giveaway entrants who can’t wait to see their favorite band perform live. Tickets for a sports match that will drive all sports fans right to your business before they hit the cheering stands. Baby stuff can be quite expensive, what makes it a highly popular raffle prize idea for young parents who want nothing but the very best for their little ones. Coupon for baby clothes in a specialised store will drive high entrants rate to your giveaway, as babies grow really fast and require a new pair of literally everything on a monthly basis. Necessities package which would include diapers, changing pads, oils, and baby formulas that parents may need daily the first few months after the baby is born. A stylish diaper bag or discounts on strollers and other baby equipment that should not be a luxury but a necessity. As we’ve already mentioned, the best possible approach to a giveaway promotion is to award entrants with one of your products or services. It allows you to further market your offer and let them test the quality, which will motivate some of them to turn back and purchase the next one. Offering one of your best-sellers. Giving out one of the highest-priced products. Gifting new arrivals and limited edition products. Found anything that might be of interest to your business? Giving out your own products or services for free or at a discounted price is always a preferable giveaway prize idea, as that way you get the chance to market the quality of your offer. But if you don’t think your brand can cover a particular holiday or an event, partner up with another business and watch your customer pool expand at a staggering rate.